Over the next few weeks we are focusing our message series on marriages and relationships. Each week will be talking about how to take your marriage and friendships to a whole NUTHA level. We will also be challenging every married couple in our church to go on a date each week. 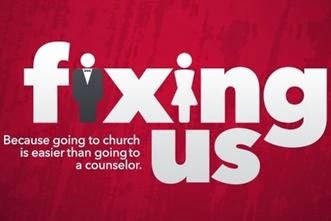 Join us as work together to begin, "fixing us!" Date Night By Design (click here) *courtesy of Focus on the family The 11th commandment of a happy marriage should be, "thou shalt date your spouse." 5 Seeds That Are An Essential Part Of Every Happy & Healthy Relationship. The Seed of APPRECIATION. Key Thought- Keep Your Level Of Appreciation Greater Than Your Level Of Expectation. The Seed Of AFFIRMATION. (Hebrews 3:13, Proverbs 12:25, 2 Corinthians 7:4) Key Thought- Choose to be your spouses best fan instead of their worst critic.